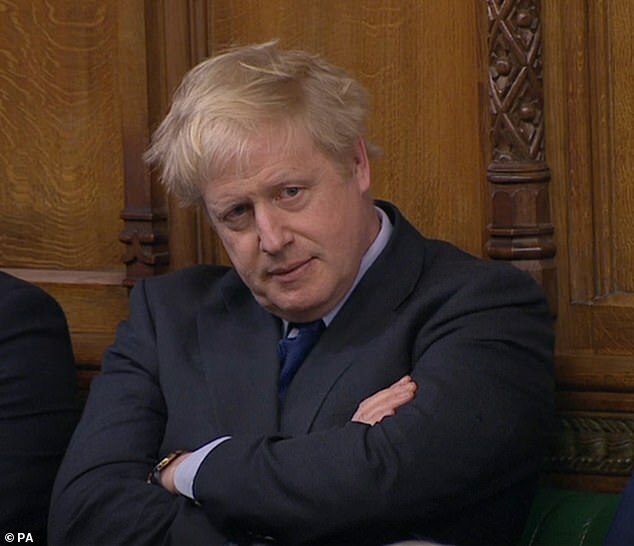 Home News and Finance	JACK DOYLE: Could Boris’s latest show of disloyalty cost him dear? 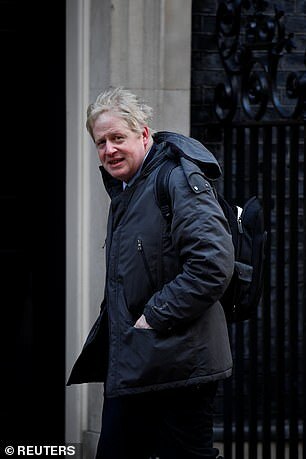 Ever since he quit the Cabinet last year, Boris Johnson has never hidden his hostility towards the Prime Minister’s Brexit policy and has posed as the true defender of the Leavers’ flame. 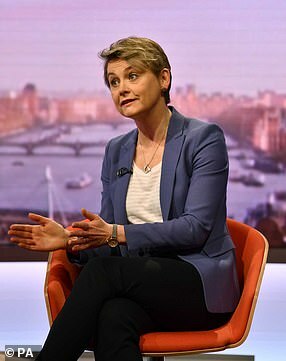 With a watchful eye on the Tory leadership – and the hearts of Leave-voting Conservative Party members – he has used his weekly newspaper column to demand she take an ever tougher line against Brussels. It never seemed likely Theresa May could satisfy either him or the hardliners in the Eurosceptic European Research Group and last night the festering frustration of both sides boiled over during a dramatic clash at a meeting of the Tory parliamentary party. In a packed Westminster room, a typically resolute Prime Minister dared her former foreign secretary to oppose her in today’s crunch vote on an amendment tabled by Sir Graham Brady. Sir Graham wants the Irish backstop to be replaced with ‘alternative arrangements’. Mr Johnson and the hardline Brexiteers are unhappy with his wording because they see it as too vague. During a tense and occasionally raucous hour-long meeting, Mr Johnson showed his hand and pointedly asked Mrs May what difference Sir Graham’s amendment is going to make even if she wins the day and takes it back to Brussels. Mrs May was loudly applauded and appeared to win the battle last night. She will whip the amendment today – daring Mr Johnson and his Eurosceptic allies to oppose her. But the truth is that for both these Tory heavyweights, the stakes in the coming weeks are incredibly high. For Mrs May, this is a final gamble in a seemingly endless war of attrition with her own MPs and the DUP, who only two weeks ago appeared to have dealt her Brexit deal a hammer blow by voting it down in the Commons. For Mr Johnson, opposing her is also extremely risky. What if Tories – and the wider public – view his inflexibility with dismay? They make take a dim view of his disloyalty to a sitting Tory leader determined to make sure Brexit happens and to extract concessions. If pragmatic Tory Eurosceptics drift into Mrs May’s camp, he could be left standing alone with a small group of irreconcilables, doing grave damage to his hopes of winning the nomination to be next Tory leader when Mrs May departs. In his Daily Telegraph column yesterday, Mr Johnson had appeared to play the peacemaker, claiming he would support Mrs May if she gave him what he wanted. However, by still insisting on a legally binding exit mechanism or ‘freedom clause’ to the controversial Irish backstop, Mr Johnson was, in truth, demanding something Mrs May could not offer. Ten days ago, there appeared some sign that the ERG line was softening. Its chairman, Jacob Rees-Mogg, told the Daily Mail that leaving the EU with Mrs May’s deal would be preferable to staying in. By last night, this hope was dead, as Mr Rees-Mogg declared his opposition to the Brady amendment. But this intransigence could end up backfiring. If Mrs May cannot get her deal through, a Remainer-dominated Parliament could take control of the negotiations and force her to take a much softer approach. A formal customs union would be a likely first step towards attracting Labour MPs. If she can prove she commands a Commons majority today, the Prime Minister can go to Brussels and demand concessions. Come back with a significant win in her pocket and there is some slim chance she could get Brexit over the line. But if she cannot, there is little chance of a better deal. For it is not just the ERG Mrs May has had to worry about. As is so often the case with Brexit, she has also been fighting on another front. MPs from her Remainer wing are deeply worried about No Deal and are threatening to back today’s amendment from Labour’s Yvette Cooper and former Tory minister Nick Boles. 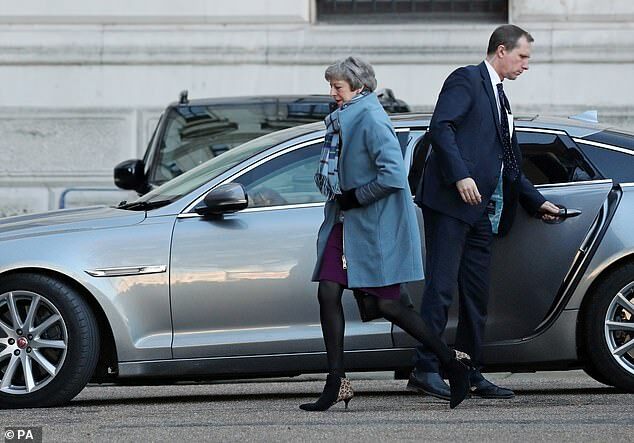 Controversially, it would take power from government to propose legislation, clearing the way for a backbench Bill which would instruct Mrs May to secure a nine-month extension to Article 50 if she failed to get a deal through the Commons by February 26. If it passed, officials warned last week, Mrs May would have her ‘legs cut off’ at her point of maximum leverage. Allies of Mr Rees-Mogg say they are confident the Cooper amendment can be stopped today. But what if they are wrong? Could they find their refusal to support the PM leads not to an ideologically pure No Deal, but to a Brexit that leaves the UK even closer to single market rules, including freedom of movement. Three years ago Mr Johnson, more than any other politician, convinced the country to vote Leave. What a grim irony it would be if he now destroyed the best chance for a good deal.